Two councils instead of nine would help to protect your local council services in the future. They’d have less overheads, meaning they can spend a great proportion of money on frontline services like parks, road repairs, libraries, children’s services, and adult social care. They will be able to create the right conditions for each area to prosper economically, because they would be formed around one urban and one rural area with an established sense of place. Two councils would make this thriving, world class county even better for lifestyle, business and leisure. A healthy, prosperous, vibrant and inclusive place for you and for generations to come. Want to see what we mean – watch our videos – one for each area! AFC Bournemouth Manager Eddie Howe and Team GB Gold Medallist Hannah Mills, and others, talk about why Future Dorset has their backing. The Dorset Area (population 2019 est. 376,600) – Currently served by Dorset County, East Dorset, North Dorset, Purbeck, West Dorset and Weymouth & Portland councils. 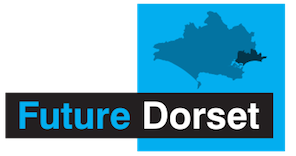 Dorset’s natural capital – countryside and coast – promoted and enjoyed. 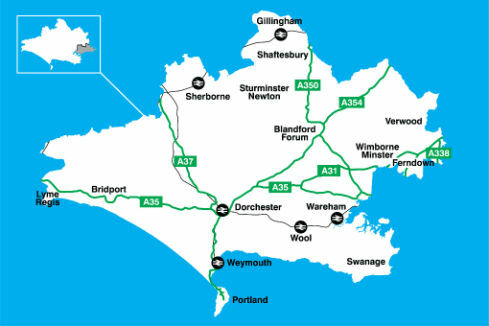 The Dorset Area Shadow Authority has representatives from all councils in the rural Dorset area – Dorset County, East Dorset, North Dorset, Purbeck, West Dorset and Weymouth & Portland. It will take all the key decisions needed locally to create the new council. Shadow Authority meetings are held in public, and its minutes and agendas are published online on a dedicated website. The Conurbation (population 2019 est. 410,300) – Currently served by Bournemouth, Poole and Christchurch councils (and Dorset County Council in Christchurch). Investment in skills and cutting-edge research and development. Bournemouth, Christchurch and Poole Shadow Authority and the Shadow Executive Committee take over from the Bournemouth, Christchurch and Poole Joint Committee. It has representatives from all councils in the new council area – Bournemouth, Christchurch and Poole, plus Dorset County for disaggregation purposes only. It will take all the key decisions needed locally to create the new council. Shadow Committee meetings are held in public, and its minutes and agendas are published online on the Bournemouth, Christchurch and Poole Shadow Authority website. Six of Dorset’s councils want to replace the county’s existing nine local authorities with two new ones, one urban, one rural. What are the benefits for you and the local area? Two councils instead of nine would help protect local services. It would reduce duplication, be more efficient, have less councillors (and council staff) and be better able to meet the needs of the local area. Where do you live? Where do you work? Where do you spend your leisure time? Local people and businesses have shared their views on the proposal.